Dinner Nightly: 5:30 p.m. - 10 p.m.
Late Night Dinner on Thursdays & Fridays: 10 p.m. - 1 a.m. Known for its imaginative creations and lively atmosphere, Sansei serves diners contemporary sushi and new wave Asian inspired dishes. 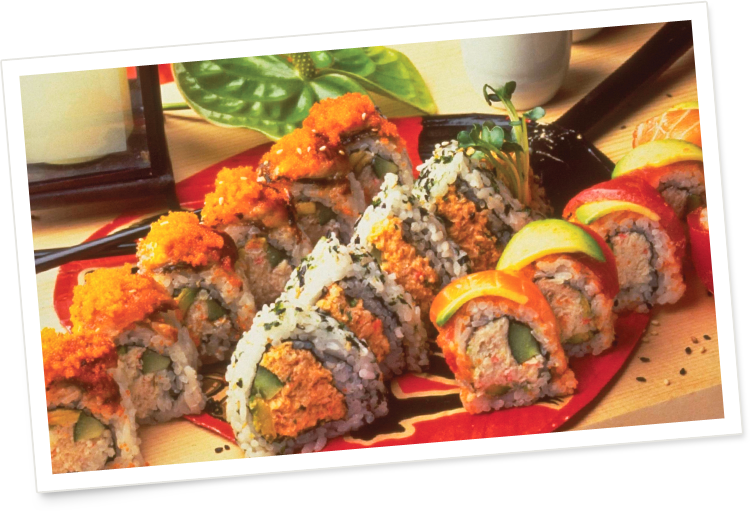 It is understandable why Bon Appetit considers this restaurant one of its favorite sushi and Asian restaurants. Chef/Owner D.K.Kodama is known throughout the islands for his innovative cuisine. Inspired by traditional Japanese dishes, Sasnsei’s sushi chefs incorporate contemporary influences. Added to Sansei’s acclaimed cuisine is its award-winning wine list. Diners can take advantage of early-bird specials or wait to dine at one of Maui’s nightlife spots when Sansei offers a late night menu and karaoke on Thursday and Friday nights.